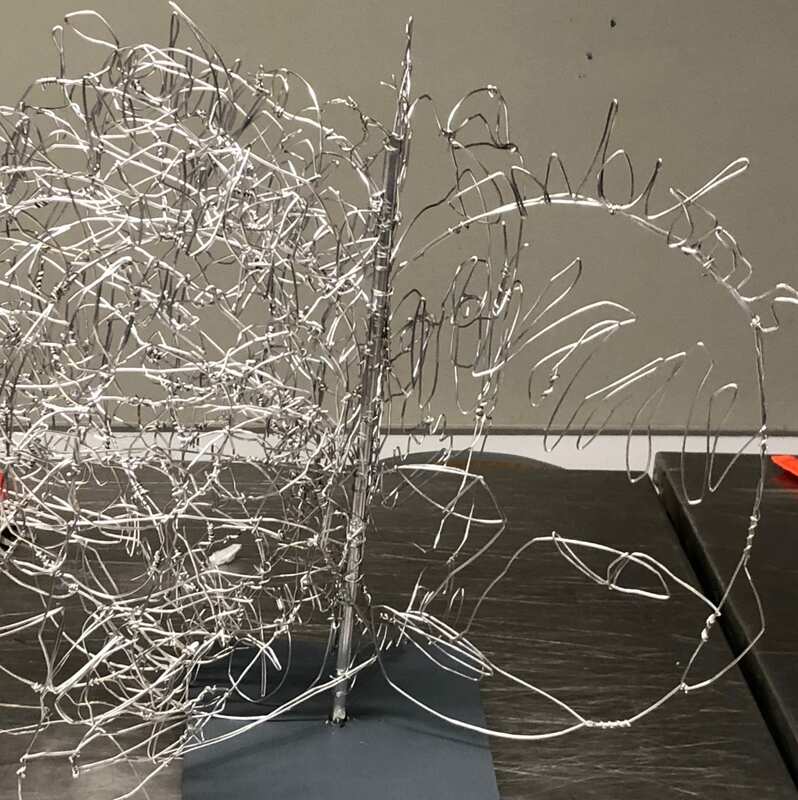 For Bridge 3 project, my group interviewed twelve individuals we encountered in Washington Square Park. 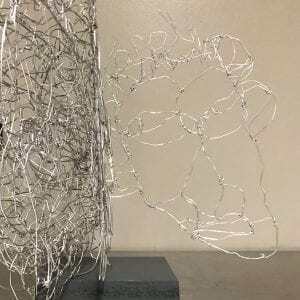 Based on the information we obtained and the photos we took, we prepared our profiles which were referenced as we designed our characters. 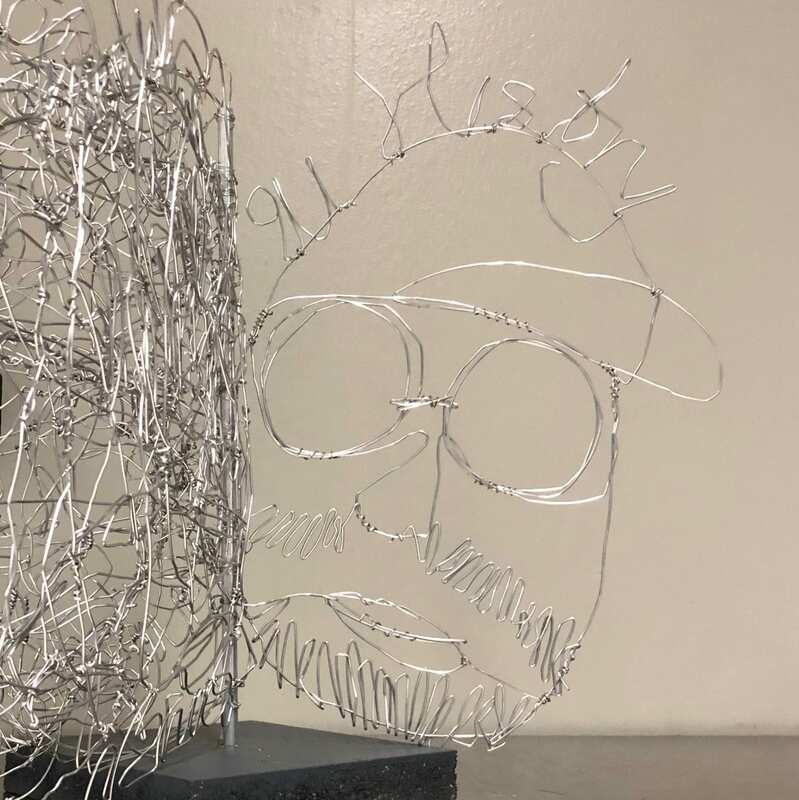 Next, my group members together came up with various options to represent the work, such as clothing, photoshops, and wires. 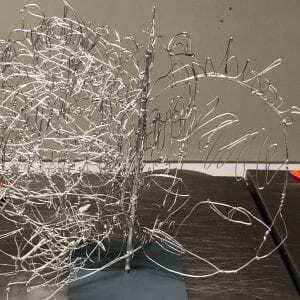 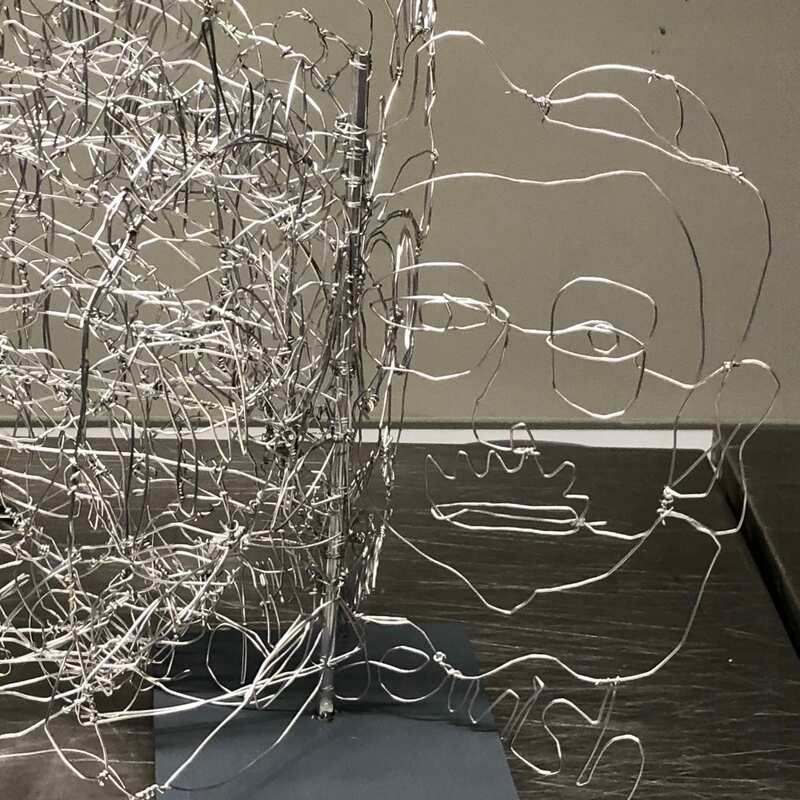 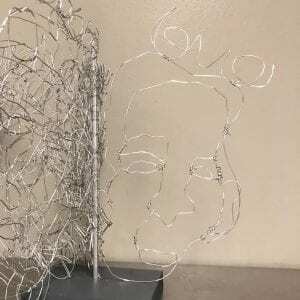 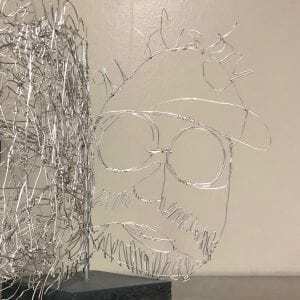 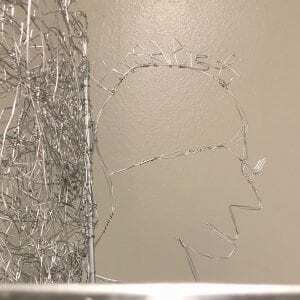 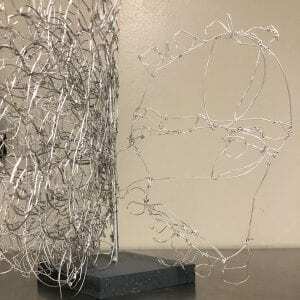 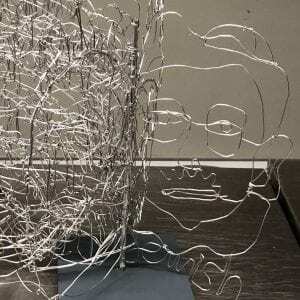 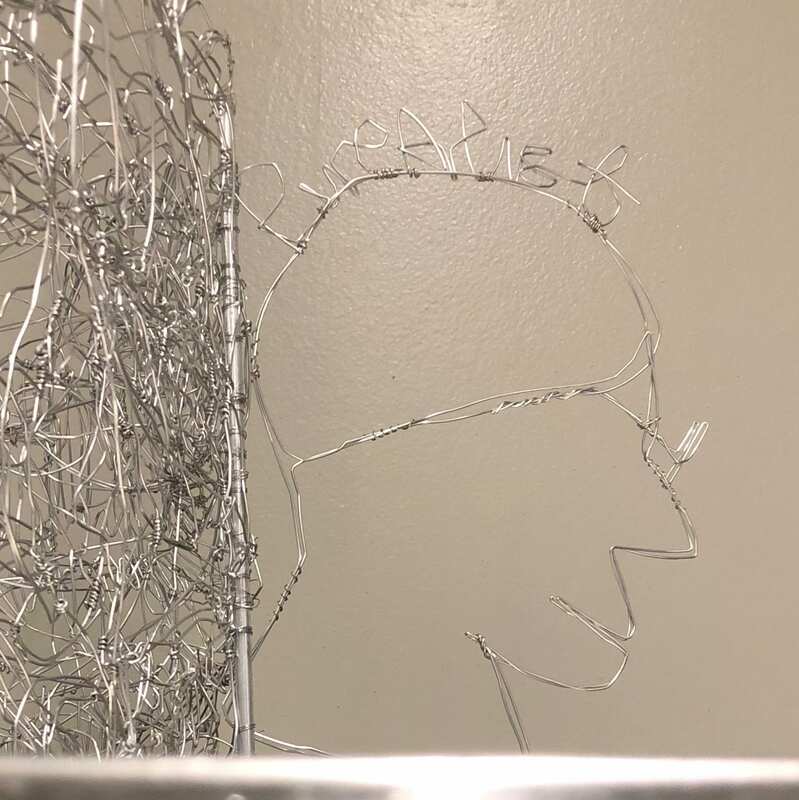 After discussion, we eventually decided to create the faces of each individual out of wire. 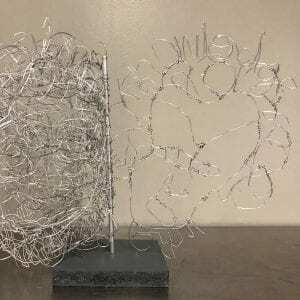 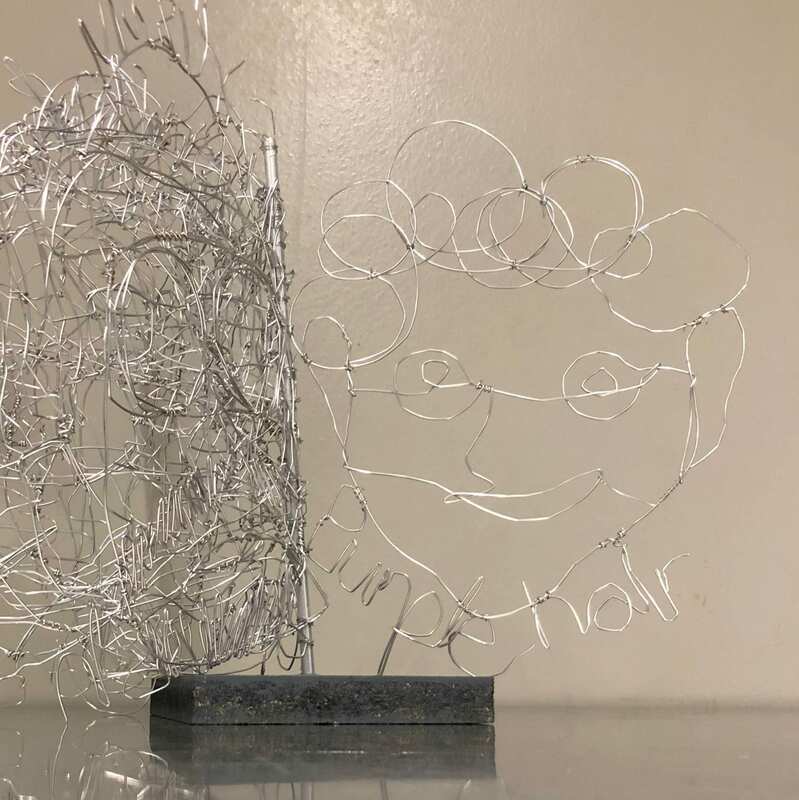 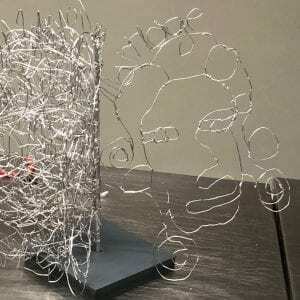 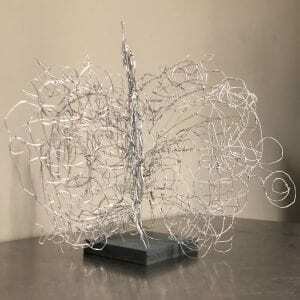 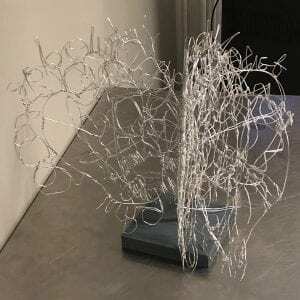 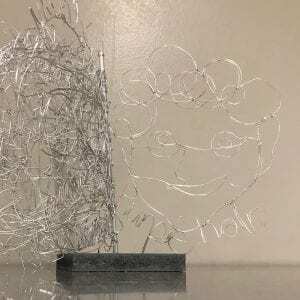 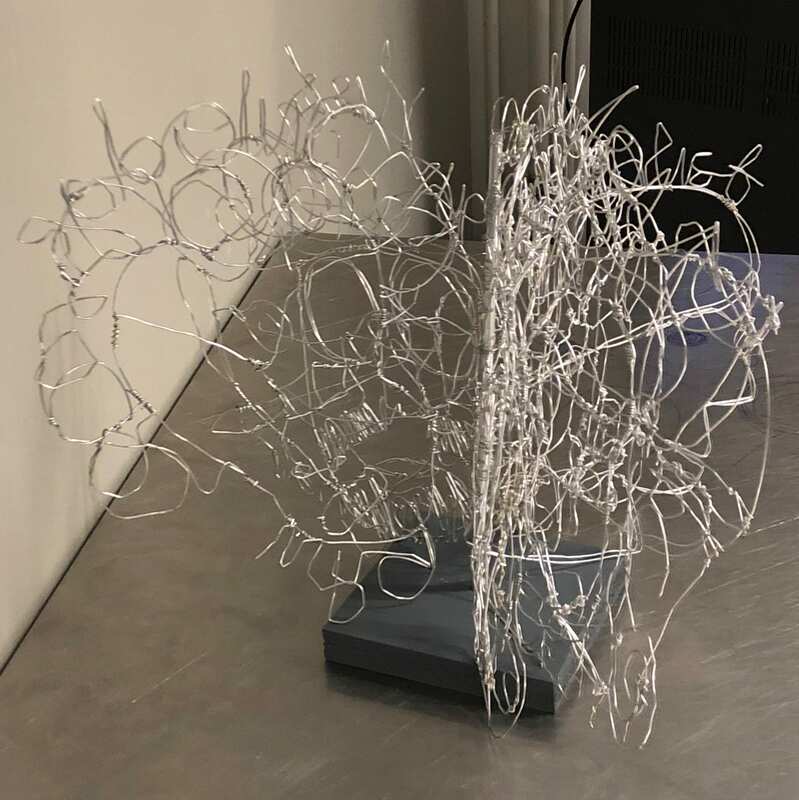 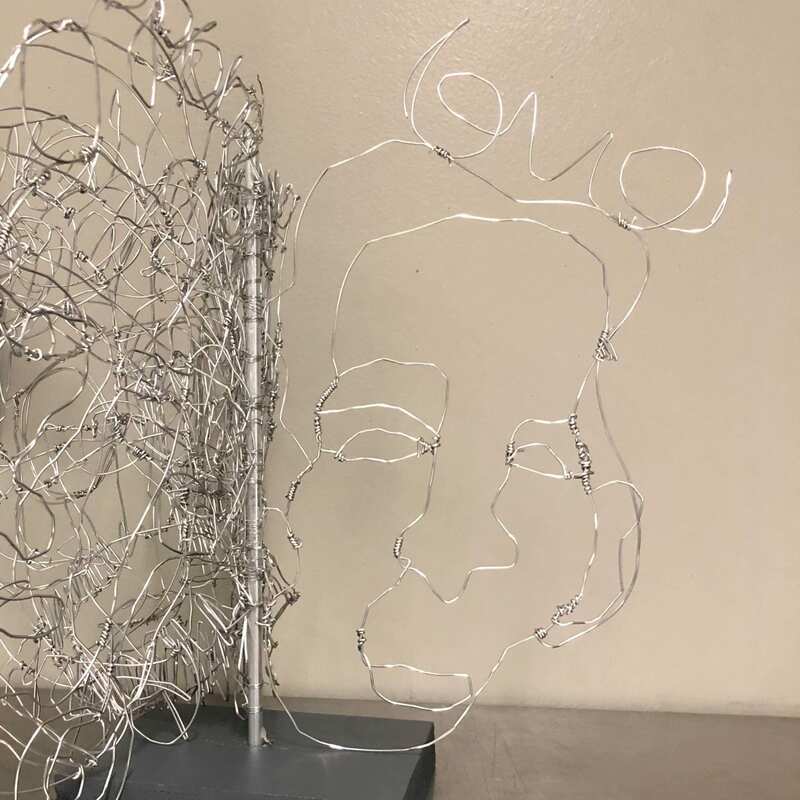 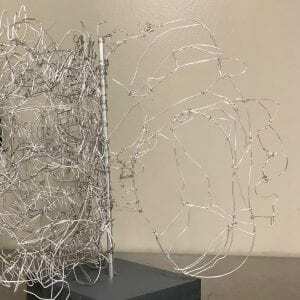 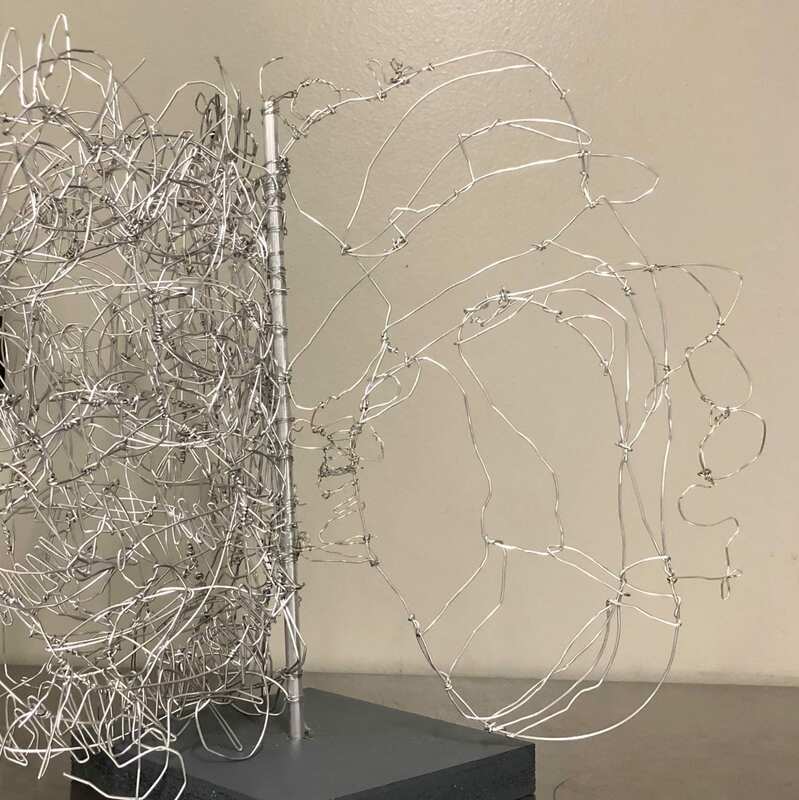 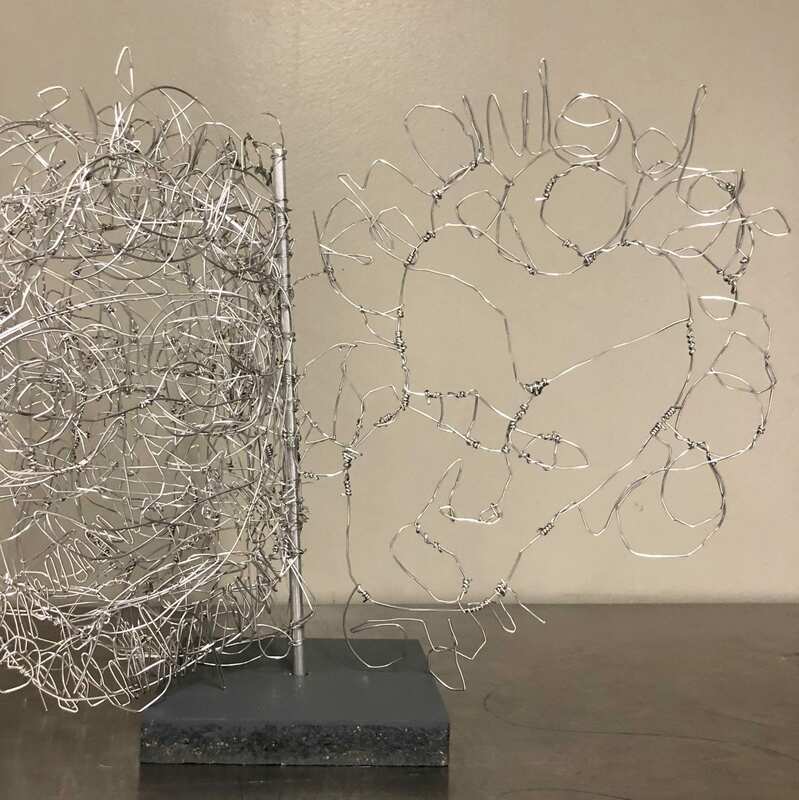 In an effort to include the descriptive texts that characterize the individuals, we considered making them out of either wire or foam; we chose to connect the words on faces using wires for congruity. 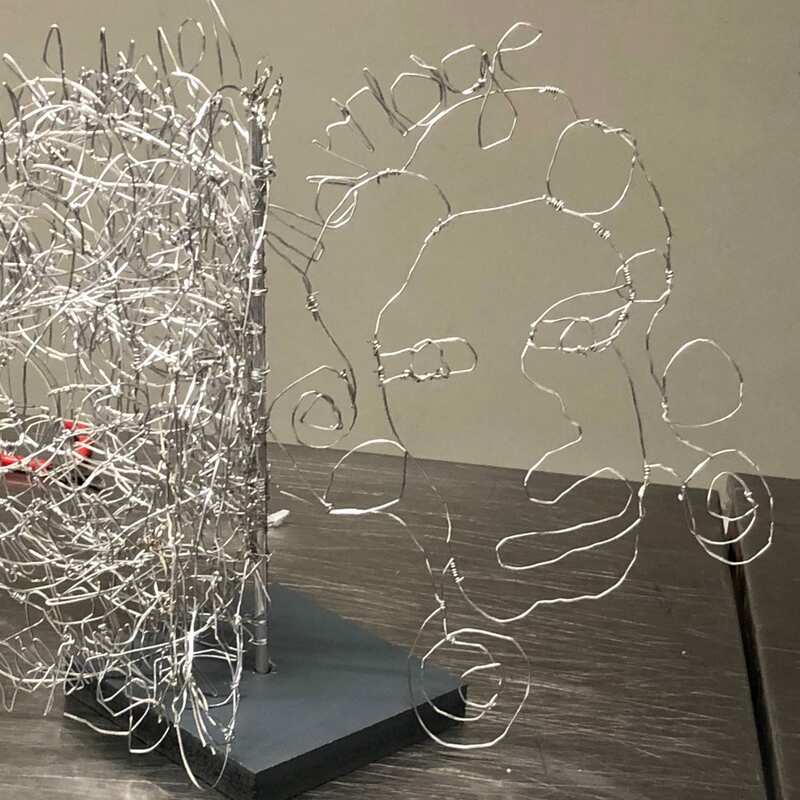 Finally, we combined all twelve faces into one by making a book with faces attached around a stick, so each face can be viewed from a certain angle as a page of a book.